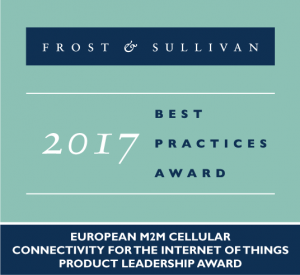 We are delighted to let you know that today Frost & Sullivan announced that Eseye, is the European winner of the 2017 Product Leadership Award. The recognition, based on industry analyst research, is a result of the proven power of the Eseye AnyNet Secure™ Subscriber Identity Module (SIM), and its integration with Amazon Web Services (AWS). Each year, Frost & Sullivan presents the award to a company that develops visionary and pioneering technology that not only enhances current products but also enables new product and application developments. The award recognizes the high market acceptance potential of Eseye’s technological breakthrough. 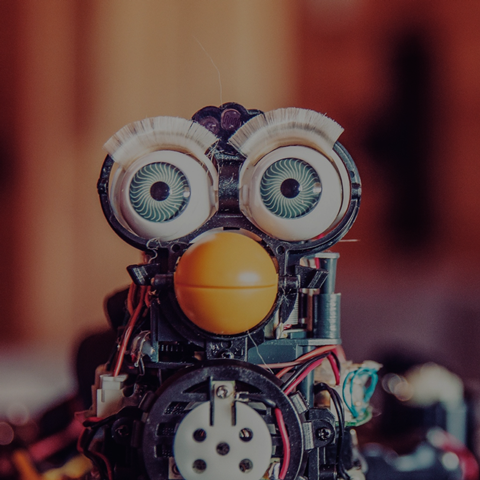 Through the AnyNet Secure SIM and the integration with AWS, Eseye has demonstrated that the risk and complexity associated with setting up and expanding mid- to large-scale global device deployments (which are often considered a barrier to IoT growth) can be removed. The award-winning, globally connected SIM allows companies to realize the huge potential of Over-The-Air IoT by easily and securely connecting devices to the Internet and then seamlessly delivering data onto AWS for further configuration and analysis using AWS Console tools. A range of new and enhanced remote management features securely activate, provision, authenticate, and certify devices over-the-air in 79 countries via 235 mobile networks across the globe. The secure zero-touch management and integration with AWS is delivered by the SIM, giving businesses a proven technology when utilizing M2M data. It aims to simplify deployments, drive operational efficiency, and cut expenditure by reducing or removing the need for costly developer teams and hardware. It is also easy to buy and set up with SIMs being sold direct on Amazon.com and cellular connectivity on AWS Marketplace. Frost & Sullivan Best Practice awards recognize companies in a variety of regional and global markets for demonstrating outstanding achievement and superior performance in areas such as leadership, technological innovation, customer service, and strategic product development. Industry analysts compare market participants and measure performance through in-depth interviews, analysis, and extensive secondary research to identify best practices in the industry.